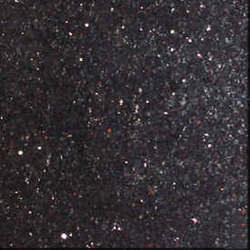 We are one of the most trusted names of the industry engaged in providing Black Galaxy Granite to the esteemed clients, as per their requirements. These products are ideal for enhancing the appeal of different buildings and others. In addition, we make sure that our customers get a defect-free range at their end making use of wide transportation networks. Vinman Stoney, sister concern of "The Tree International", Established in the year 2007, is one of the leading Manufacturer, Supplier & Exporter of an extensive range of Indian Natural Stones, Granite, Marble, Sandstone, Limestone and Slates in different finishes, Polished, Honed, Antique, Sandblasted etc and in different Size and Thickness as per the requirement of the buyer. Situated at Delhi, we are working under the supervision of our mentor Mr. P. Vishwanath. He with his years of experience and immense knowledge has led us to be amongst one of the top notch companies in the world. With our fair business approach and incorporation of innovative techniques we have grown ourselves as one of the leader in the stone industry. We have employed various architects and craftsmen, who with their latest designs and carvings make our range more demanding in the market. Our clients are spread across globe including Europe, Indonesia, Singapore and USA. Owing to our flawless product range, we Vinman Stoney, have carved a niche for ourselves in the market. We have gained immense expertise in the domain of Manufacturing and Exporting a wide range of Stones & Marbles. Backed by sound infrastructure & proficient manpower, we meet the global demand of all kinds of natural stones available in unique finishes such as natural hand cleft, honed, polished and sandblasted. Obtained from the best quarries, we literally leave no stone unturned in offering the best range of natural stones such as Indian Natural Stone, Green Marble Stone, Polished Natural Stone, Forest Green Marble Stone, Sandstone, Limestone and Granite, that form an essential feature of a buildings strength and aesthetic appeal. We follow high quality standards to ensure we offer only the best to our esteemed clients. The Tree International is a leading exporter of Indian Natural Stones: Slates, Sandstones, Quartzite, Limestone, Granites &Marbles along with fascinating range of Stone Artworks. We are a 100% Export Oriented Unit with our Head office &Registered office at Delhi. From Mother Nature, we capture for you the most exotic stones with varied colors, fascinating patterns and textures: Creating an earthy ambiance for homes, work places, public buildings, gardens, hotels. The Tree International range of Indian Natural Stones provides durable and adaptable surfaces suitable for all applications - Flooring, walkways, artificial waterfalls, wall cladding, roofing, counter panels etc. Our commitment & quality has ensured that we have clients all through China, Indonesia, Poland, Holland, South Africa, United Kingdom & United States of America. We entertain queries from international market.